The latest craze that’s sweeping the Internet by storm? Viral content! Everybody and their brother is OBSESSED with trying to go viral and they all seem to have a fail-proof secret technique that only they can teach you- for a nominal fee, of course. While you might be tempted to pull out your wallet and hand over a small fortune to some geeky kid who spends 12 hours a day wired into YouTube furiously uploading his latest and greatest video game “pwnage”, we’re here to tell you that there is no real fool proof formula. And what works for him may not necessarily work for you. However, there are some techniques that will greatly increase your chances of going viral and we will happily let you in on some secrets that are sure to help you out! Or in the very least, give you a pretty good starting point. The Best Recipe for Success? Great Content! Amusing- Something that people will actually ENJOY watching. Keep in mind that people are on Facebook, Twitter, and YouTube to kill time and you’re competiting against millions of other users so make it content! Bonus points for funny content! Unique- Most viral content tends to follow the same pattern and that’s perfectly fine but don’t try to copy what’s out there already. Just because that amazing Jack Russell dog got TONS of hits because he cleans, takes out the trash, gets his owner out of bed, and everything else doesn’t mean the world wants to see a Westie do the exact same thing. Controversial- This can definitely get the attention of users fast but be careful what you put out there! Not all attention is good attention and if you put something out there that’s “too much” you may get more than you bargained for. While you will definitely get attention, you need to decide for yourself whether it’s worth it or not to see TONS of hate filled messages and sometimes death threats. Yikes! Play into the curiosity factor- We’re all curious by nature so take advantage of this! Articles and videos with taglines like “Wow, you won’t believe #7 on our list” or “These surfers got the surprise of their lives, click the video to see what it was” will almost always draw attention. In the very least, your audience will click just long enough to see #7 or what happens and sometimes that’s all you need to rope them in and get them sharing your stuff! Don’t worry if your viral content doesn’t catch on right away even if you are using the above list to your advantage; it can take time! Don’t get discouraged by your “failed” attempts and use them as learning tools instead! The list below is provided courtesy of http://www.viperchill.com/six-months/ and we highly recommend reading their article for more helpful suggestions! 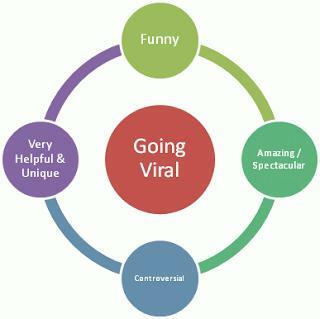 Below is an incomplete list of some of the things that can greatly improve your chances of getting viral traffic. Set up a Facebook page after your website- Obviously setting your website up will be the first step you take but afterwards you really should make a Facebook page. We strongly recommend looking into other social media websites as well but Facebook is the big one since it has millions of users. Pay attention to what works- Remember that success won’t happen overnight so keep a running log. Anytime you try something different (Facebook like campaigns, advertising on other social media sites, etc.) record the results and see what works best for you. If you are looking to do more than just get 15,000 likes on your YouTube Halo videos and want to use viral content to draw traffic to your site, it pays to try to attract a wide variety of users. Picture uploaded on http://www.businessinsider.com/bustle-traffic-2013-11 regarding their traffic. In other words, don’t rely solely on ONE website; put your content on multiple sites that way if your first source changes its algorithms you won’t go down with it. Facebook is NOTORIOUS for changing its system periodically so this advice is incredibly valuable for those of you using it! Direct Visits- These are people that have come directly to your website. More than likely they have come across one of your advertisements or have been referred to you by a friend. Either way, they typed your URL into their browser and clicked go! Search Engines- If you are getting a good amount of traffic resulting from search engines then this tells you two things: people are finding you and your SEO game is working! Keep in mind that if your search engine traffic is low it is likely because you and your brand are too new and/or you need to invest in more SEO. Social Networks- Social networks are breeding grounds for viral content since they make it so easy for people to share their stuff with other users around the world. 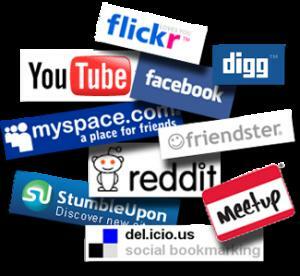 If you are not taking advantage of the social network game, you really need to! 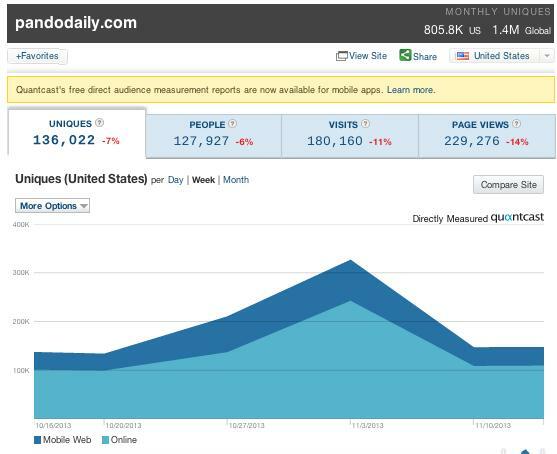 Referrals from Other Sites- These are usually the lowest as far as your traffic goes so don’t worry! 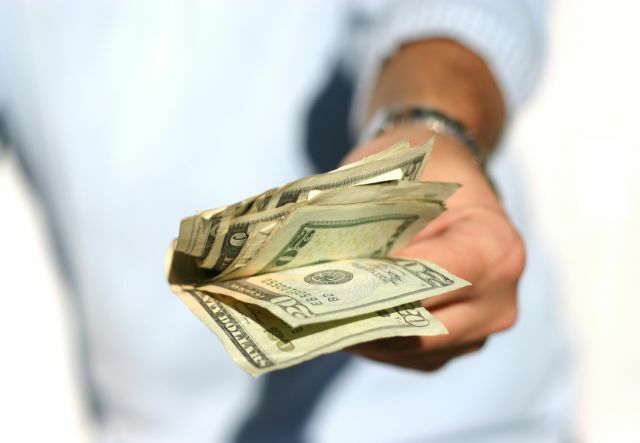 Even large companies don’t see many referrals from other sites. 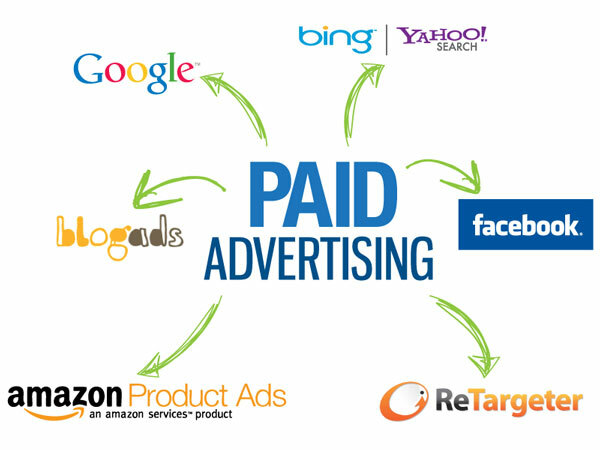 Paid traffic- This is the BEST type of traffic you can attract because it pays the bills! Literally! 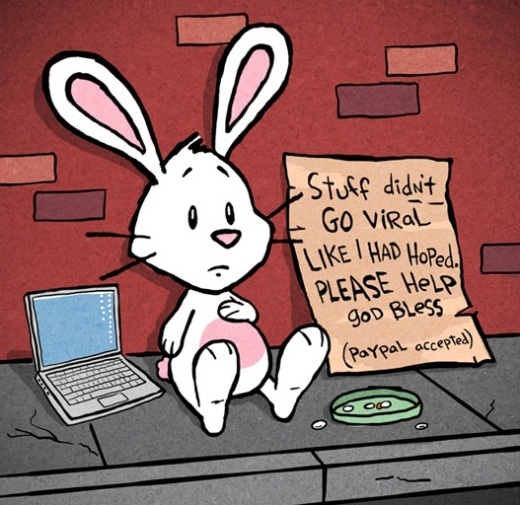 When it comes to getting viral traffic, social networks are your best friend! Not only are they free to use (usually) but they also help you reach potential clients worldwide with VERY little effort done on your part! Facebook promoted posts– Keep in mind that over time, your posts will fade to the very bottom of the newsfeed. People post TONS of content on the website everyday so your stuff can easily get lost. If you take the time (and money) to promote your posts and encourage others to do so, you’re more likely to stay at the top of everyone’s newsfeed. Facebook “like” campaigns- The more “likes” your content receives on Facebook, the better because it draws attention. Potential customers are more likely to visit and buy from you if they see that thousands of others have liked you. 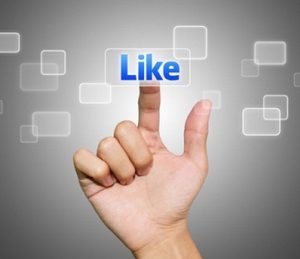 You can encourage people to like your stuff with “like” campaigns so take advantage of it! Instagram images- Instagram is extremely popular right now and is completely free to use. Like Facebook, you can reach a wide variety of people in little to no time so find a catchy, attractive image to use to represent yourself! Twitter- EVERYBODY has Twitter these days; even celebrities! Twitter allows customers to keep up with the latest that’s happening in your world and also lets you market yourself to people worldwide; including celebs! 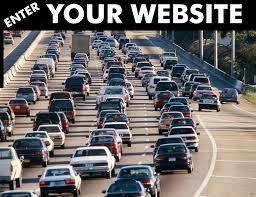 Sites in your niche- Getting other websites within your niche to promote you will greatly help your traffic numbers! A lot of websites are hesitant about sharing ad space so offer them some incentive in return like link backs that way everybody wins. 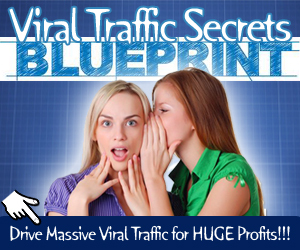 While there is so guaranteed, fool proof plan to viral traffic there is a lot that you can do to help your chances! But most importantly, DON’T GIVE UP! This is a trial and error process that can sometimes take a long time to get going. However, once you start garnering a significant amount of attention you’ll be glad that you invested all of the time and energy!